This session solves many of the classic mysteries people have related to performance tuning. In this session I will provide accurate, ready to get started scripts which will solve DBA`s day to day problems. The biggest challenge in any organizations is the DBAs and Developers talk totally different language when it is about SQL Server Performance Tuning. They have very different ways and methodology for addressing the same problem. Whenever I go to any consulting engagement, I often see that individuals in an organization struggle when they do not have good data point to back up the claim. I have carefully crafted this pre-con for DBAs and Developers. Even though if you are an IT-Manager, you want to attend this pre-con as during this training day you will learn quite lots of details which you may not learn in your daily job. 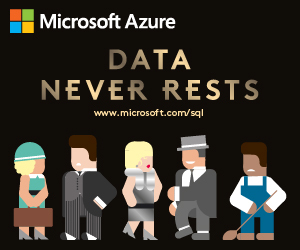 I have been working with SQL Server for over 16 years. In my 16 years of career, I have learned that most of the time DBAs and Developers think that they know their stuff as they have read it somewhere but the reality is very different. What we know is quite often very incorrect and the actual reality is very difficult. From my 16 years of experience, I have built a knowledge base which exclusively share during my consulting engagements. I have finally decided to make it public and let everyone learn along with me. The 21 scripts shared during the training serves as a Proof of Concepts, Quick Diagnosis Script as well as a ready cheat sheet to accomplish a complicated task which you have been dreaming to achieve. The scripts sound very simple but each of the scripts are carefully crafted to tell a unique story which you have not experienced before. Script 00: How to clear the Cache? Script 03: How to identify UNUSED indexes in SQL Server? Script 04: How to identify MISSING indexes in SQL Server? Script 05: How to identify DUPLICATE indexes in SQL Server? Script 06: How important is the file growth setting is for Database? Script 07: Do COLUMNSTORE indexes help query performance? Script 09: What about OLTP In-Memory Ttables with COLUMNSTORE indexes? Script 10: How do STATISTICS play a role in performance tuning? Script 11: How does COMPATIBILITY Level play a role in performance tuning? Script 14: How to identify frequently running functions? Script 15: How to identify frequently running queries? Script 16: How to identify resource bottlenecks for server with Wait Statistics? Script 17: How to overcome CPU bottlenecks - under utilization / over utlization? Script 18: How to overcome MEMORY bottlenecks? Script 19: How to overcome IO bottlenecks? Script 20: How to overcome Blocking in SQL Server? Script 21: How IMPLICIT conversion can kill database performance?